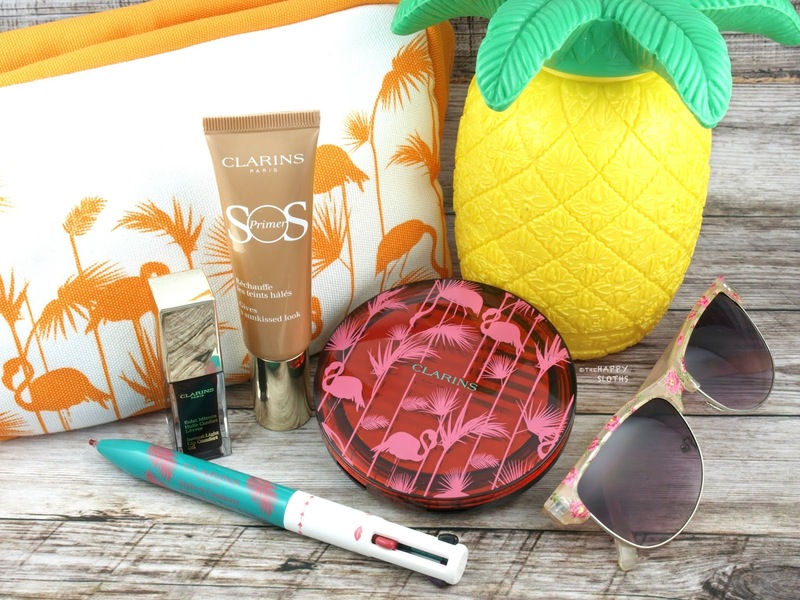 Clarins has been releasing a limited edition bronzer palette every summer (see 2015, 2016, 2017) and this year, we are getting a completely matte formulation great for those that prefer no shimmers or sparkles in their tan. 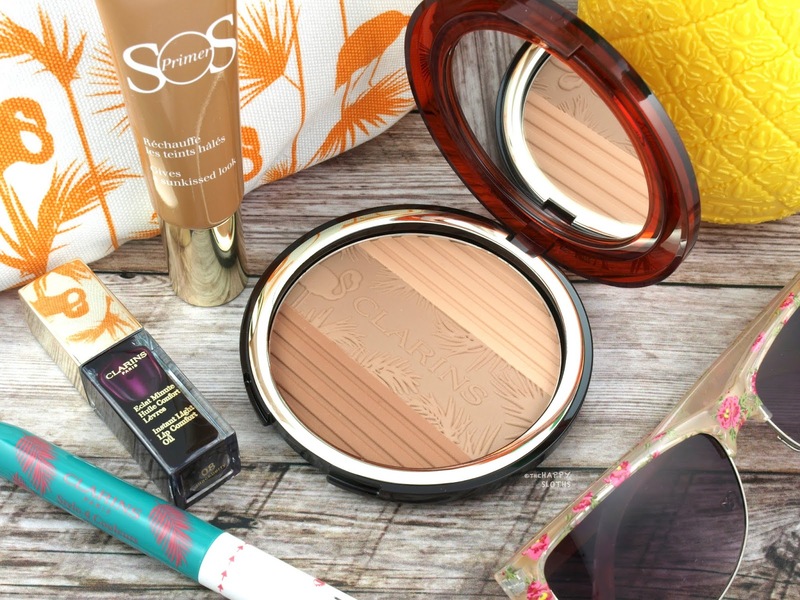 Packaged in an adorable translucent compact embossed with a tropical flamingo print, the bronzer is split into three shades that blend to form a neutral light bronze. The formulation is infused with white tea and nipplewort extract rich in antioxidants and the pigmentation is even and semi-sheer. Therefore, the application is easy to customize; you can go for a sheer wash of color or build to a sculpted summer glow. Additionally, the powder has a subtle floral fragrance that reminds me a lot of the Guerlain Meteorite scent. Below is a very heavy swatch I did to show off the color of the bronzer. 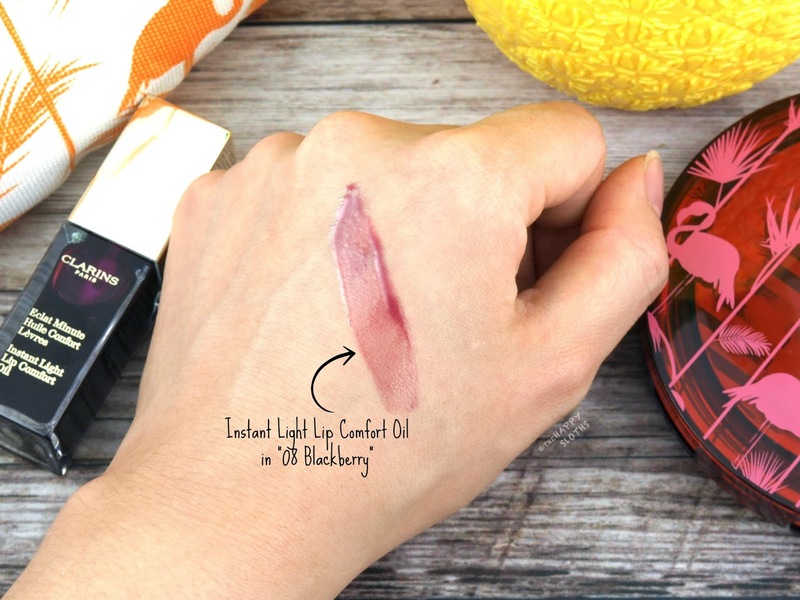 Clarins | Instant Light Lip Comfort Oil in "06 Blackberry"
The ever-so-popular Instant Light Lip Comfort Oil range is getting a new member this summer! 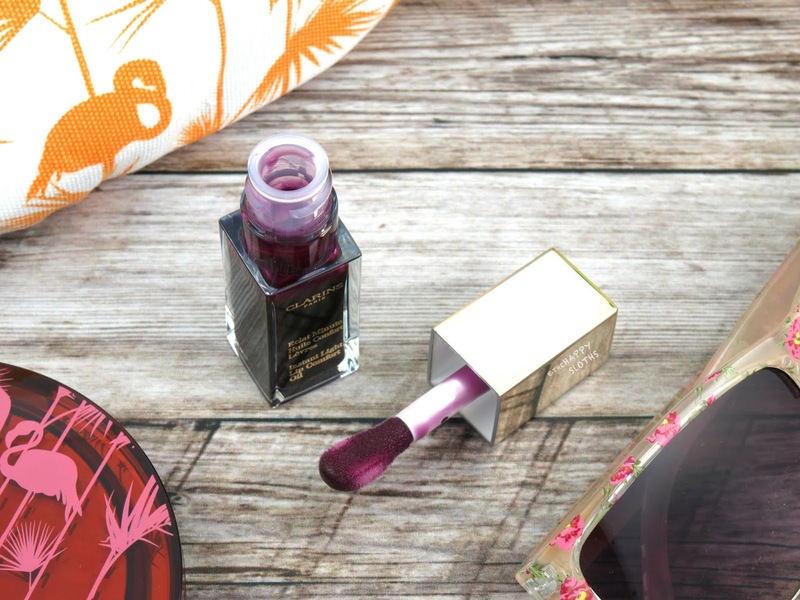 With a delicious berry scent and a sheer tint of plum, the new "06 Blackberry" shade will be joining the permanent collection. Essentially a lightweight lip gloss, the Instant Light Lip Comfort Oil is formulated with the oils of hazelnut, jojoba, and acai. The consistency is heavier than an oil and the finish is not devoid of all stickiness. However, the formulation is hydrating and it lasts longer than a traditional lip oil. If you like the look of a gloss but still want the nourishing properties of an oil, then definitely check this out! Clarins released a six-shade primer range this spring and for the summer, it's introducing two new, limited edition shades for creating a glowy, sunkissed complexion. I have here the shade "06 Bronze", a natural light tan that provides a warm, shimmer-free finish. The formulation is water- and silicone-based and it is smooth and creamy. 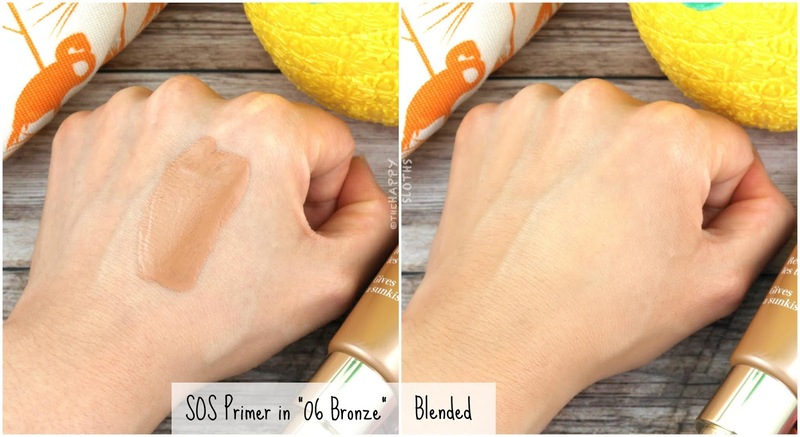 The primer blends nicely and provides a soft blurring effect. 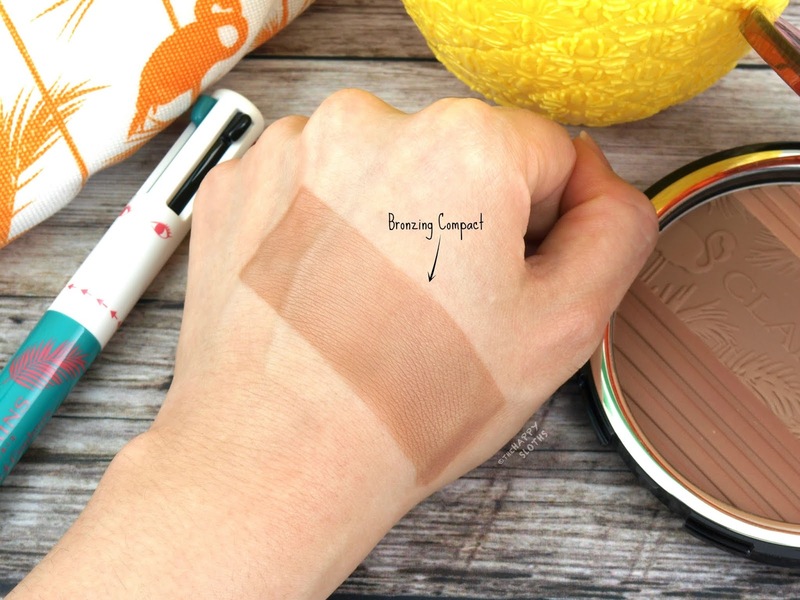 The pigmentation is surprisingly impressive but the color will not show up under foundations that provide anything beyond a light-medium coverage. Therefore, I would recommend mixing this with your foundation to achieve a natural, glowy tan. 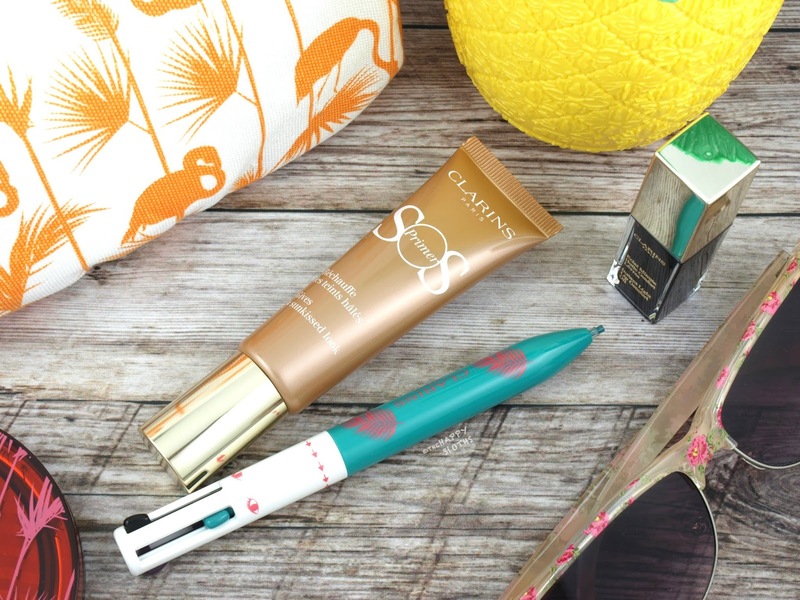 Clarins | SOS Primer in "06 Bronze"
An innovative four-in-one liner housed in a multi-barrel click pen, the 4-Color All-In-One Pen has a special limited edition (see the original here) for summer 2018. 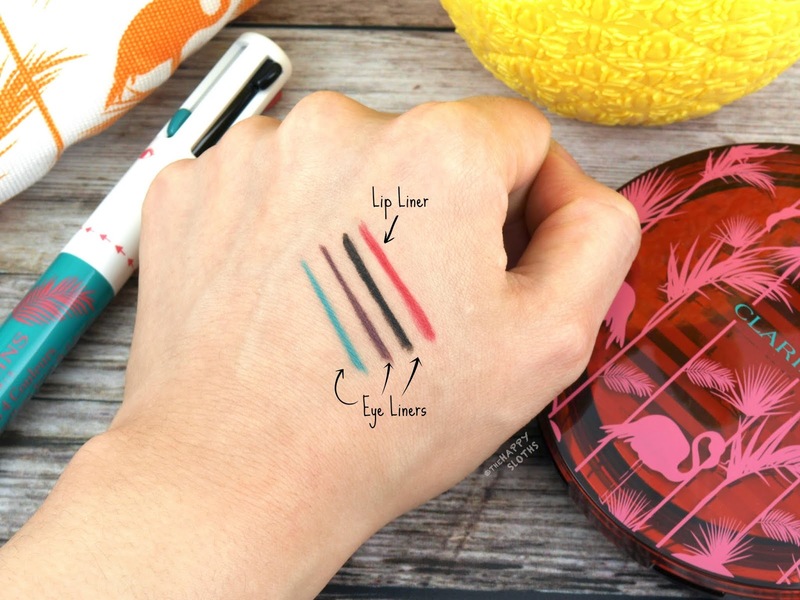 Updated with a teal color and printed with pink palm leafs, the pen houses one lip liner in a medium warm pink and three eyeliners in black, deep purple, and bright teal. All four colors are matte and their formulation is pigmented and creamy. However, similar to the original version, the liners here are not smudge-proof. This is not a dealbreaker for the lip liner but I need my eyeliners to be long-wearing and waterproof. Unfortunately, this one just doesn't cut it. Overall this is a very cute summer collection. My recommendation is definitely the bronzer as it's always nice to find a good matte formulation. Have you spotted this collection in stores yet? Will you be picking anything up? Share with me in the comments below! Clarins is available at Hudson's Bay, Shoppers Drug Mart, and Clarins.